Women staying at a centre for migrants have been moved to the men's compound in Ħal Far because of overcrowding. The Home Affairs Ministry confirmed that a number of women were temporarily moved to the Ħal Far centre over the past few weeks due to the lack of space in Dar il-Liedna, a Fgura centre. Unaccompanied minors were now being prioritised, the Home Affairs Ministry said. The Home Affairs Ministry did not disclose how many women had moved to Ħal Far. However, migrant women who spoke to the Times of Malta said there were tens of them residing in the area. Sources raised concerns that male and female migrants should not be living in the same area. “We’ve observed considerable overspill and transit between Dar il-Liedna in Fgura, and the Ħal Far centres,” one source said, adding a basic requirement of any asylum system was separating communities, for their own safety and welfare. The women said they had not been told why they needed to move to the area in Ħal Far. This situation was temporary, and the women would be transferred back to Dar il-Liedna or another centre once accommodation space was once again available, the ministry spokeswoman said. In order to cater for this temporary arrangement, a boundary wall was constructed separating the men’s compound from the women’s compound, floodlights installed for extra security at night, and female security guards had also been deployed, the ministry said. The females have private sanitary facilities and their quarters are also close to the administration block. Sources who work closely with migrants have been raising the alarm as there seemed to be no contingency plans for situations of severe overcrowding. 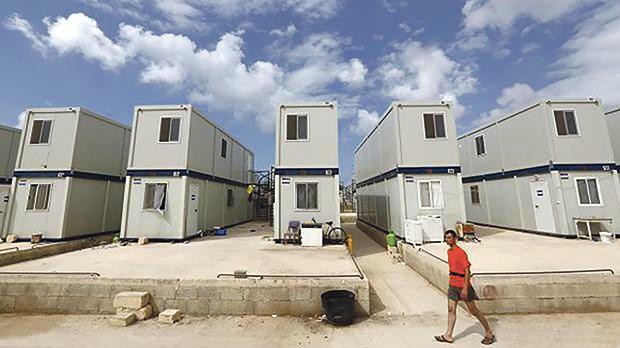 Senior government sources had told The Sunday Times of Malta in summer that an internal review of the situation revealed that the island could receive and process a group of no more than 180 migrants at a time. The total reception capacity of the centres is approximately 2,200 places, according to an asylum information database. At the end of 2017, 913 persons were accommodated in open centres, according to information provided by the Agency for the Welfare of Asylum Seekers.